For some reason the people in charge of a new debutant here are stressing the word ‘disrupt’ (or variations thereof) to describe what their motor is expected to do to rivals. 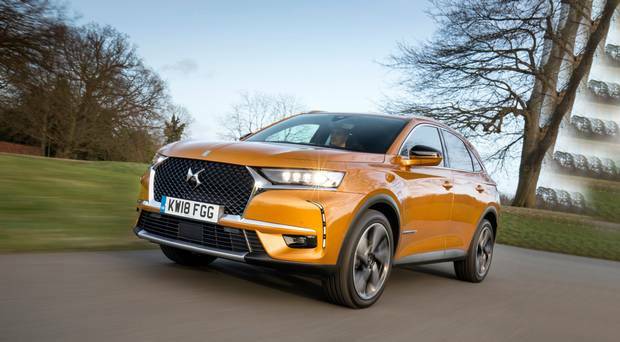 Enter the DS7 Crossback: a mix of SUV and coupe that blurs sector lines and sizes, and is a rival for the likes of the Volvo XC40 among many. Debuting here now, they claim its price/equipment combination will rock the boat. We’ll see. Even DS concede there is much between the claim and the reality of breaking into the mindset of premium-car buyers. DS as a brand is hardly a household name at this time – it is now a ‘stand-alone’ from the PSA stable and taking its first few steps. Like a lot of brands over the years, it has to start somewhere but there are serious, proven rivals who may cost a bit more, but do not involve such a potent pioneering spirit. My instinct is that the car, a substantial chunk of work, might be sufficiently ‘different’ to look at and drive to attract those who like change for the sake of it. And those of such pioneering spirit can, if so desired, run the rule over it at its Irish outlet, DS Airside, Swords, Dublin. The first of a new generation of cars from the brand, its prices range from €36,000 to €60,245. There are diesel and petrol powertrains here now and a plug-in hybrid will follow early next year. The latter will have a 1.6 litre turbocharged 4cyl petrol engine (200PS) with an 8spd automatic transmission. Meantime all current powerplants range from €190 to €280 on road tax. They aim to attract a high proportion of high-mileage buyers so diesel will be the favourite fuel. 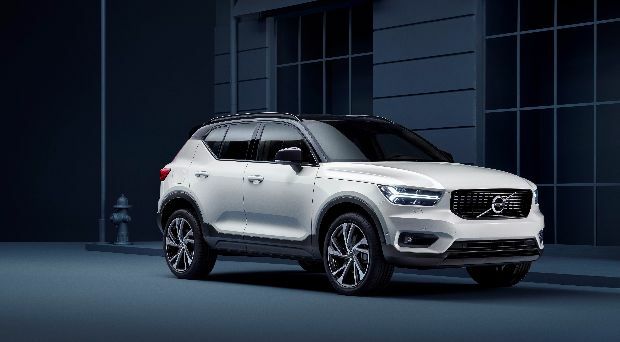 There are four trim levels (Elegance, Performance Line, Prestige and Ultra Prestige) with even entry-grade including an array of safety and comfort technology. 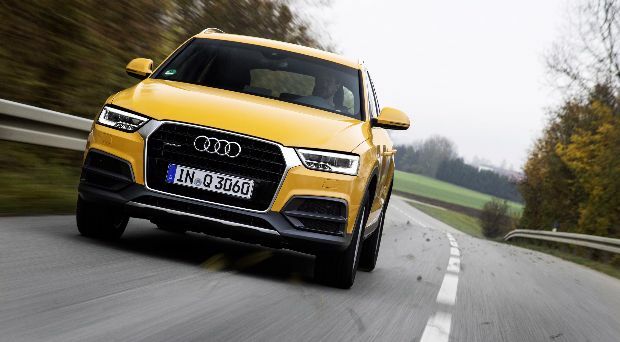 Active Scan suspension which can anticipate bumps and potholes five metres in advance and adapt the shock absorbers accordingly is standard on some higher-specced models. Overall they claim 15 breakthrough innovations but many are available elsewhere to be fair. Nonetheless the mixture of spec, price and technology is, on the face of it, impressive. 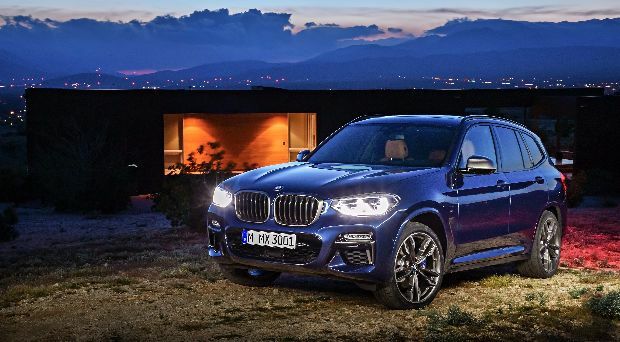 And maybe a bit ‘disruptive’ for rivals such as the BMW X1, Audi Q3, Jaguar E-PACE, Lexus UX, Mercedes GLC – and the larger BMW X3, Jaguar F-PACE perhaps. Certainly worth factoring in too are the 5-year unlimited mileage warranty and roadside assistance. I only drove it briefly but the interior was certainly different, there was decent room in the back and the boot is large at 555-litres. It is definitely unusual in concept and design; I suppose that is as much as you can ask for at this stage. In a market clamouring for SUVs, they expect to sell 100 this year. I suspect how close they get to that target will rely on just how ‘disruptive’ the new car can be. Elegance spec includes has 18ins alloys, 8ins touchscreen display, DAB radio, electric parking brake, lane departure/driver attention warning, rear parking sensors, LED front fogs (cornering function), Android Auto/ Apple CarPlay, drivers seat electric lumbar adjustment. Performance Line adds 19ins alloys, Active LED vision, high beam assist, 12.3ins digital cluster, Active Scan Suspension (with 180AET), reversing camera. Prestige adds wireless charging for smartphone, leather dashboard, door panels, electric seats pack, front seats’ massage function. Ultra Prestige adds 20ins alloys, panoramic sunroof, 12ins HD touchscreen display, 3D nav, electric tailgate, keyless entry, Connected Pilot. 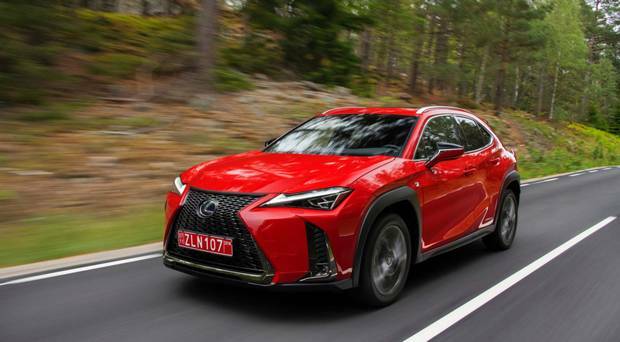 The all-new Lexus UX is the smallest crossover on offer in the Lexus range.